With asbestos and deterioration, officials say it would cost the township about $1.7 million to revitalize the 1838 structure. Although one of Mt. 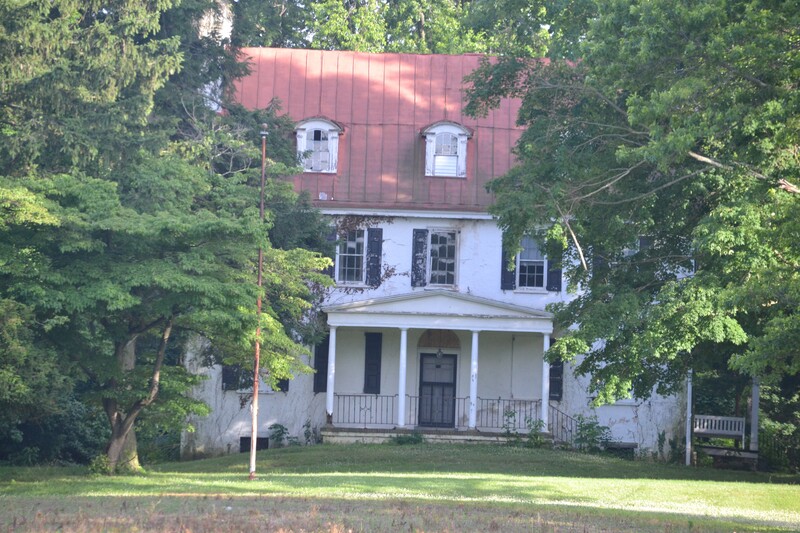 Laurel’s oldest historical homes is scheduled for demolition due to structural deficiencies, township officials want residents to know the 23 acres of land that make up “Sunnyside Farm” are to remain as open space. Officials spoke about the difficulties of preserving the structure at Sunnyside Farm, located at 142 Hooten Road, in response to questions and concerns from residents at this week’s Mt. Laurel Township Council meeting. Due to asbestos and deteriorating conditions, it would cost the township about $1.7 million to revitalize the inside and outside of the structure and bring it up to code, according to a report funded by a grant the township received from the Garden State Historic Preservation Trust. According to the New Jersey Historic Trust website, the house was originally built in 1838 for well-known area Quaker Joseph Hooten on a homestead that could date back to 1682. As listed on the website, the house was then expanded in 1876 by Elisha Roberts, and through the family, the house has connections to several other historic homes in the area, including nearby Paulsdale, the childhood home of noted suffragist Alice Paul. However, flash-forward to the 21st century, and officials say deteriorating conditions at Sunnyside have left officials with few options to save the structure while remaining responsible with taxpayer dollars. Mayor Rich Van Noord said the township has nothing to hide in its decision, which he simply described as a difficult choice for the township to make. In response to online rumors, Van Noord also reiterated that once the house was demolished, the land would remain as public open space, with no plans for private development at the site. Township manager Meredith Tomczyk also said simply keeping the structure in place without repairs would be a safety hazard, in which the township would be liable for anyone injured at the site. However, several residents still argued for saving the structure at this week’s meeting. During the portion of the meeting open to public comment, resident Gloria Stevens suggested investing in the property to create a location the township could rent to business and private parties looking to hold gatherings and various functions. In response, Van Noord noted such an idea would likely add additional $500,000 to $1 million to the cost of repairing the structure. Resident Rachel James, who said she’s had an interest in Mt. Laurel’s history and Sunnyside specifically since elementary school, asked council to hold off the demolition of the property until there was further opportunity for public commentary. “Preservation of the property would be a longtime investment for the township,” James said. However, as noted by township attorney Tyler Prime, the township has already awarded a nearly $53,000 demolition contract for the property, and stopping demolition now would be a breach of that contract. According to Tomczyk, demolition of the site could occur as early as the next several weeks, but it would be completed by the end of summer.